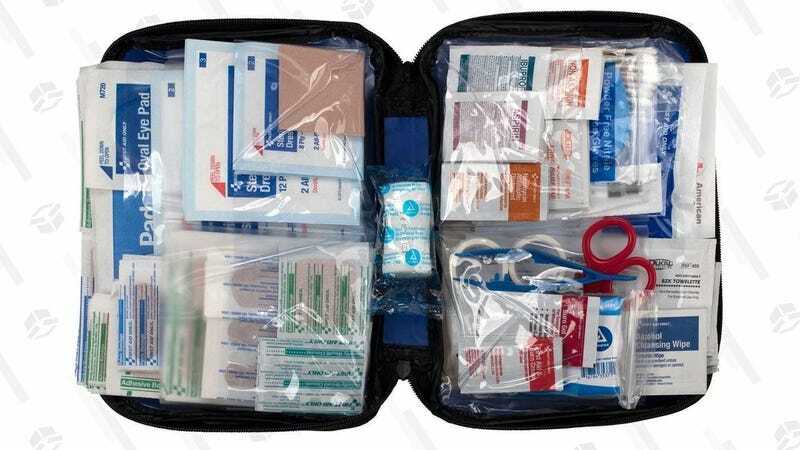 Accounting for all 299 pieces included in this first aid kit, our readers have purchased well in excess of 3,000,000 bandages, cold packs, pain medicines, and other first aid essentials. We just hope you all haven’t had to use them all yet. The compact zip-up case fits great in your medicine cabinet, sure, but it’s not a bad idea to throw one of these in your glove box too, because you never know when you’ll have to fix a boo boo.